Where to Buy Diquat Herbicide, Diquat Turf Aquatic Herbicide Tribune - Qt - 2.5 Gallon - $29.95 for Sale with Fast Free Shipping! 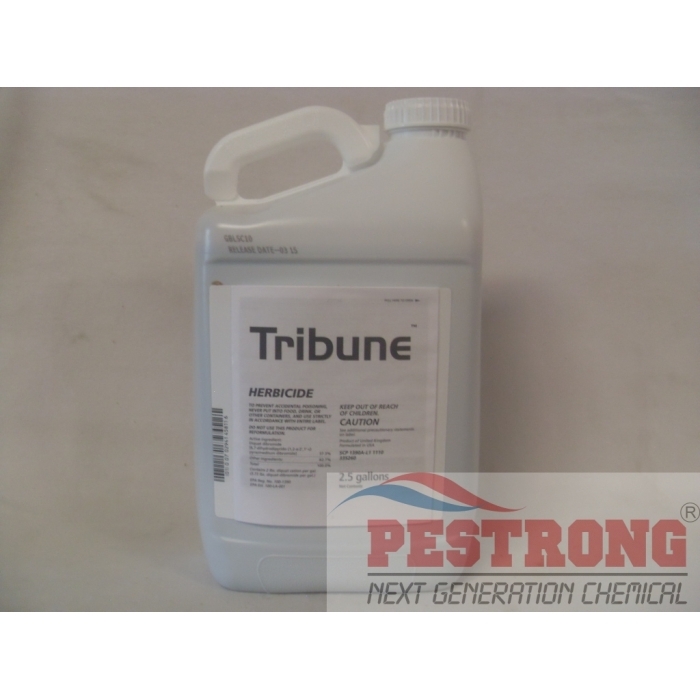 Diquat Turf Aquatic Herbicide Tribune - Qt - 2.5 Gallon controls submersed, floating and emergent aquatic weeds that is a highly concentrated non-selective herbicide for the control of aquatic weeds, turf weeds and grass. 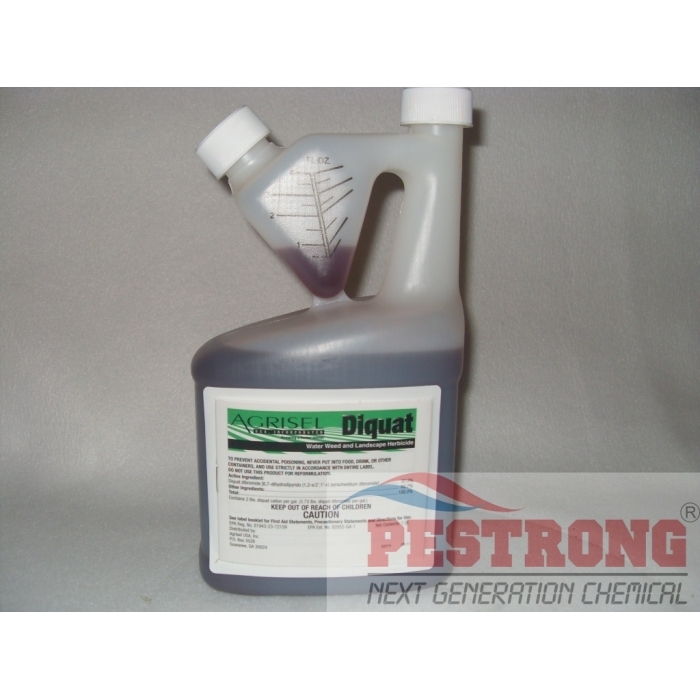 Natural Pond Cleaner Bacteria Muck..
Diquat Herbicide kills undesirable above ground weed growth in 24-36 hours! 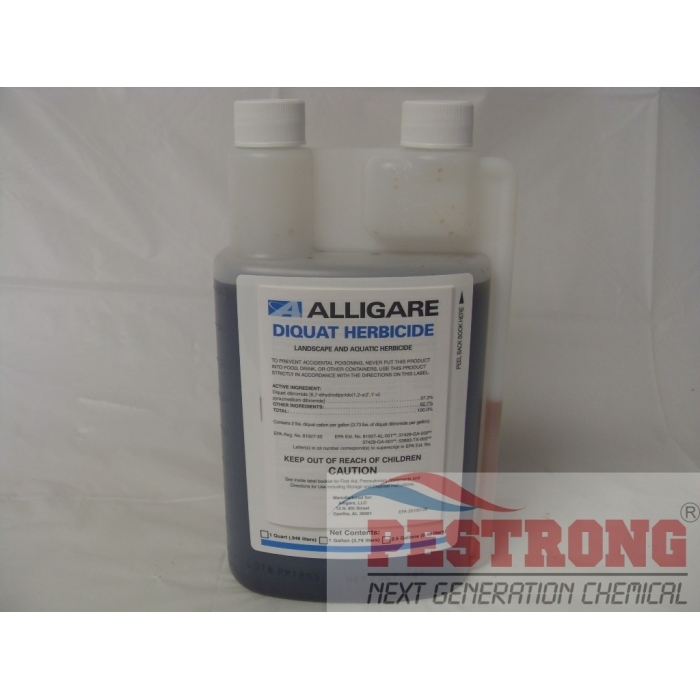 Diquat Herbicide controls submersed, floating and emergent aquatic weeds including duckweed as well as broadleaf and grassy weeds. 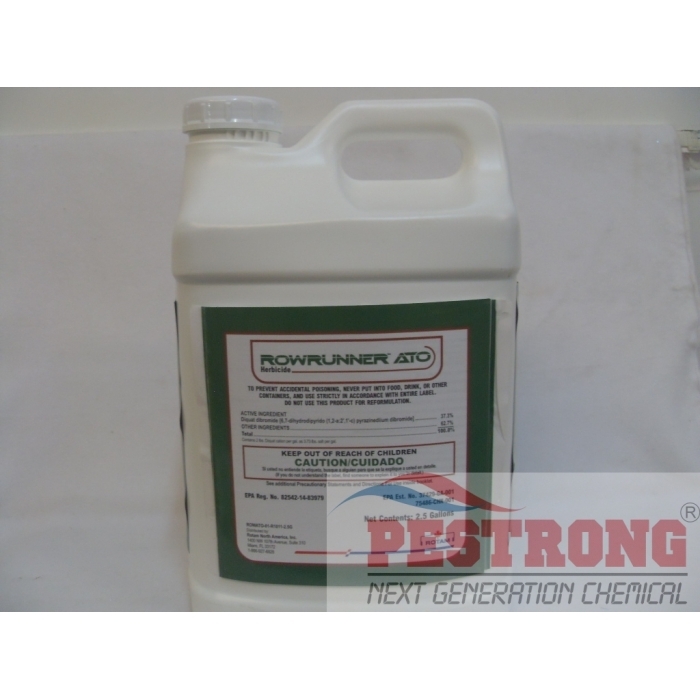 A surfactant is necessary when using this product with any weed on or above the water surface including landscape applications. Water use is restricted for irrigation and drinking (animal or human). Active ingredient : 37.3% diquat dibromide. CONTROLS: Duckweed, Waterhyacinth, Cattails, Pondweeds,Coontail, Pennywort and other aquatic weeds. USES: Edging Turf, Landscape Beds, Lawns, Ponds, Lakes, Ditches. RATES: 0.75 oz per gallon + 1-2 tsp. non-ionic surfactant. 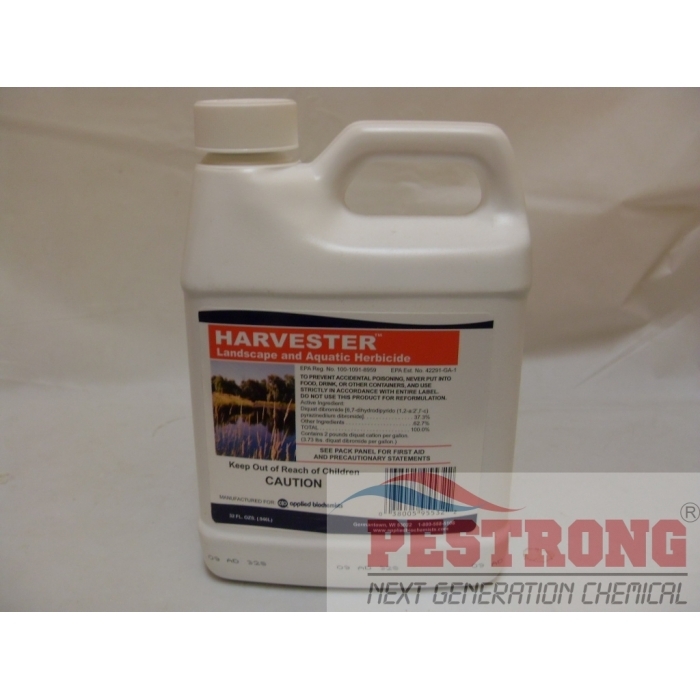 Surfactant for Herbicides : Non-ionic surfactant for increased coverage and penetration of pesticide sprays, including Insecticides, Fungicides, Miticides and Nutritionals. We, Pestrong may ship any kind of brand Diquat (A.I: 37.3%) like Alligare Diquat or Agrisel Diquat or Tribune Diquat or Diquat 2L depends on current stock. All are the same product with different manufacturer. Only 2.5 Gallon Jug is HAZMAT. 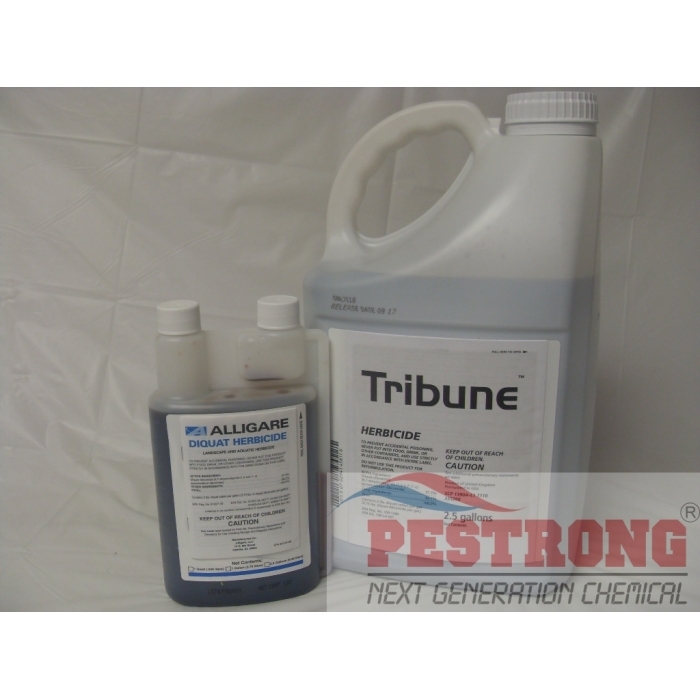 Strong herbicide! Overnight browning and worked great on the hyacinths that I needed to get rid of. Really satisfied of the results and the price per volume is also great. Thank you! Very nice, effect is very fast and obvious results at a very reasonable price, it turned all my weeds brown over night, not something you expect on one application, very, very nice. Compare to REWARD. Same results. Can use at low ratios and get great resaults in 24 hours. Bought for lilly pads control. Works good. Turn brown over night. Has good knock down on anything it can touch. Cant say it is good diluted as a into / under the pond spray. I find myself want to use it on all weed control. Almost to good to use in the yard around flower beds... Any Plant or grass it contacts will brown out and go away- overnight. High concentrate round or round up knock offs will do same for less money (if you want to wait 2 weeks to see results.) If you want ASAP results. This is it.